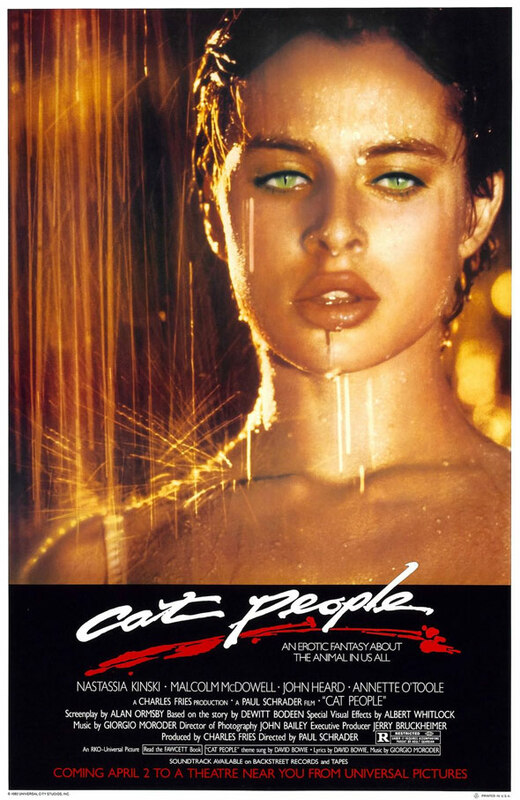 Paul Schrader's Cat People (1982) is a scintillating, glorious, mythical mess, a hybrid horror arthouse avalanche. Horror tropes are plentiful (particularly some brief but tasty gore) and among other "flaws," there is some off-putting editing and pacing. There's also much to savor though, including strong, animalistic performances from Kinski and McDowell and some nice throwbacks to the 1942 Lewton/Tourneur original.